The desperately worrying situation that has unfolded in Eastern Europe since the beginning of this year shows that Russia is taking a far more proactive and meddlesome approach to its relations with its Western partners. Months of disputes about Russia’s role in the protests in the east of Ukraine have led to a fracture in Vladimir Putin’s fragile relationship with Western leaders. While Putin’s primary attention – alongside much of the world’s media – has been firmly on the skirmishes in eastern Ukraine, the neighbouring Baltic states are also beginning to get jittery. Latvia, Estonia and Lithuania have all grown increasingly alarmed at the impact that apparent Russian aggression will have on their economies, as well as the prospect of once again being subsumed by a new Soviet Union. All these countries have painful memories of their time under Soviet rule, and few of the citizens within them are in any hurry to go back under Moscow’s control. However, such is Russia’s political and economic sway in the region that it can render Baltic economies virtually paralysed with a few unfavourable decisions. The Baltic states’ fraught relationship with Russia stems from the 18th century, when they were swallowed up by what was then the Russian Empire. With independence declared after the First World War, the Soviet Union retook Estonia, Lithuania and Latvia in 1940; 50 years of oppression, enforced collectivisation and civil resistance then ensued, coming to an end alongside the collapse of the Soviet Union in 1991. Since then, however, the relationship has continued to be troubled, with accusations of Russian meddling in elections in Ukraine over the last two decades coming alongside its strong opposition to the Baltic states joining the EU and Nato, which they did in 2004. In 2005, when Putin agreed to develop the Nord Stream gas pipeline that passed through the Baltic Sea to Germany, it was seen as an effort to bypass traditional transit countries that included Ukraine and the Baltic states. They see it as an effort to make Europe increasingly dependent on Russian gas, while exerting greater influence on politics within the east of the EU. 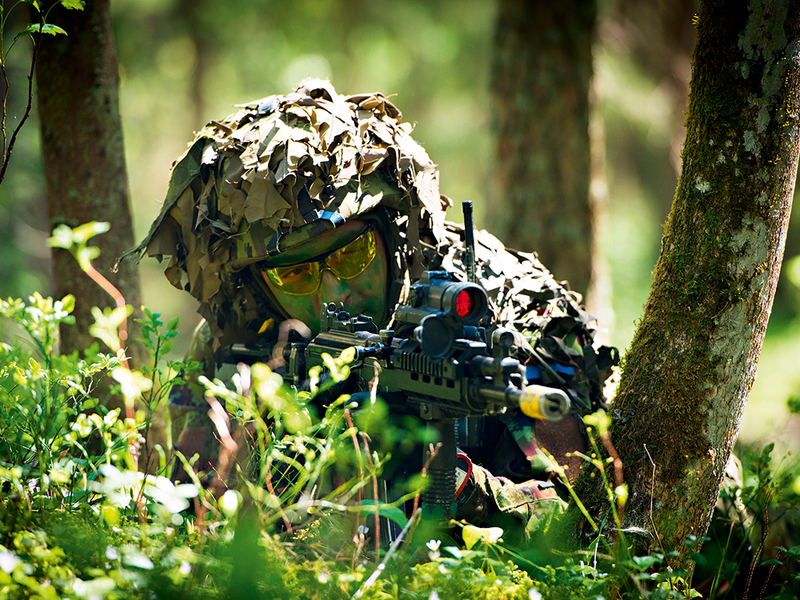 Concerns over Russia’s intentions for the Baltic states have been heightened in recent months, with a number of international and regional figures speaking out about perceived aggressive activity. A NATO spokesperson is reported to have said in October that Russia had been stepping up its provocation towards the Baltic states at a greater level than has been seen for several decades. “I would suggest that the level of this provocative flying is higher than at the height of the Cold War”, the spokesperson added. While worries over actual military manoeuvres can be brushed aside by Russia as paranoia, actual decisions that impact on the economies of the Baltic states cannot. Back in 2007, the influence of Russia on its neighbours’ economies was shown through the petty way in which it reacted to the removal of a Soviet-era war memorial. In Tallinn, Estonia’s capital, the bronze statue of a Soviet soldier was taken down as many in the country felt it represented an era of communist oppression. While there were vocal and violent protests by some young ethnic Russian protestors, the move was widely supported by the majority of the country. However, Putin’s response was to divert Russian merchant ships from Tallinn’s docks, while at the same time heavily investing in domestic Russian ports that would take business away from Tallinn. According to some, Tallinn’s port lost around 60 percent of its business as a result. In the nearby Latvian capital of Riga, many fear that any such perceived anti-Russian statement will lead to Moscow doing similar economic damage to its growing port. Unfortunately for the region, few people think that the disputes are likely to quieten down any time soon. Russian-speaking Baltic citizens of will see continued support from Moscow, and many fear that the protests and rebellions seen in Ukraine could spill over into these countries as a result. Vladimir Putin’s meddling in Ukraine and potentially in the Baltic states comes at a worrying time for European leaders. As signs of a tentative recovery have struggled to materialise over the last year, a dispute with a valuable trading partner – and supplier of energy – comes at the worst possible time. It’s unsurprising that German Chancellor Angela Merkel has been reticent about imposing the sort of tight economic sanctions on Moscow that many have been calling for, but she should certainly heed the calls of those countries that sit on the Russian border and worry about growing Russian meddling in the region. Looking elsewhere for energy supplies would send a strong message to Putin’s about his grip on the region, while further restrictions against Russia’s biggest providers of oil – Gazprom, Gazprom Neft, Lukoil, Surgutneftegas and Rosneft – should be considered. Lithuania, Latvia and Estonia have been accepted into the EU and NATO, and it’s about time European leaders showed them their membership includes support against Russian aggression. What trends can we expect in 2015?